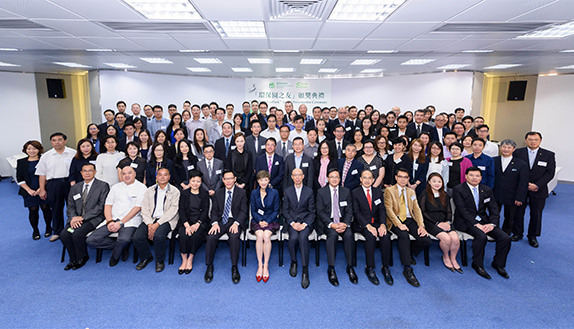 2016 "Friends of EcoPark" Award Presentation Ceremony Award Presentation Ceremony was successfully held on 1 November 2016 (Tuesday) at Hong Kong Productivity Council Building, Kowloon Tong to honour over 100 organisations from both the public and private sectors in recognition of their supports for EcoPark tenants and to encourage further mutual collaboration. 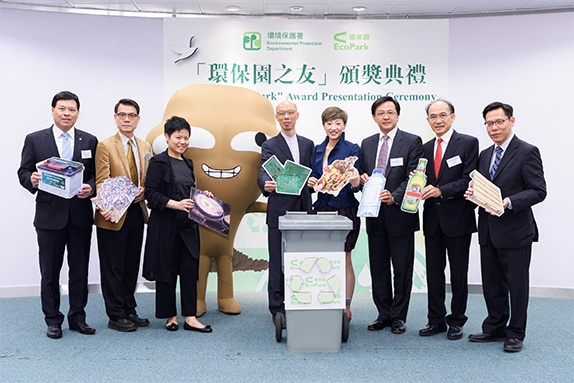 This year, there are 119 organizations bestowed with the award certificates to commend for their long term commitment to environmental protection and dedication to the development of tenants' recycling businesses. The number of the awardees is the highest among the previous years and they are from a wide range of businesses including hotels, catering, engineering, logistics, retail, cleansing and property management, as well as a number of organisations from the public sector. EcoPark tenants including Champway Technology Limited, South China Reborn Resources (Zhongshan) Company Limited and On Fat Lung Innovative Resources Limited also took the opportunity to introduce latest development of their recycling businesses to the awardees as well as delivering their sincere appreciation. Two awarded organisations, i.e. 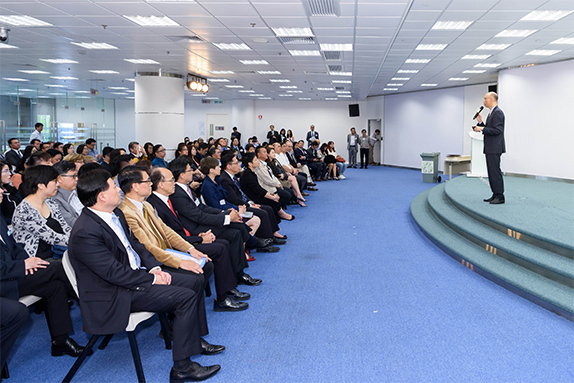 Sailing Boat Catering Group Limited and 香港新界養漁協進會, also shared how partnering with EcoPark tenants could help resolve their waste problem, thereby achieving win-win situation. In the coming future, the Environmental Protection Department and the EcoPark Management Company will continue to make every endeavor to encourage partnership development between EcoPark tenants and various public/ private sectors so as to encourage development of local recycling industry.